This elegant bath surround provides function and style with the mirrored medicine cabinet doors and center mirror with glass shelves. 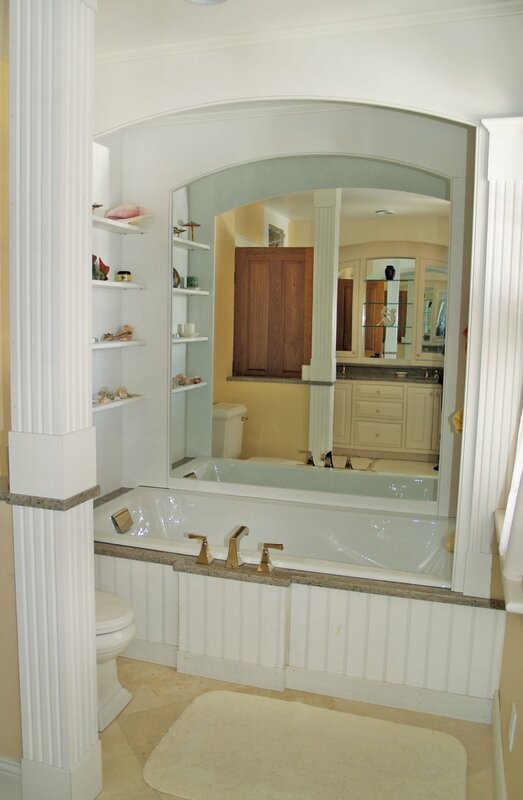 The arches and columns in this bathroom are carried from the double bowl vanity to the soaker tub with grace and style. Sign up with your email address to get your copy.